Robert C. ("Bob) Gardella is a trial attorney and general practice attorney primarily serving Livingston County and southeast Michigan. His areas of practice are family law, divorce, collections, criminal defense, juvenile defense, corporate law, business law, limited liability companies, real estate, oil & gas law, labor and employment law, motor carrier law, personal injury, probate, wills and trusts, commercial law, and civil litigation. Mr. Gardella is admitted to practice law in the State of Michigan and before the U.S. District Courts for Eastern Michigan and Western Michigan, the U.S. Court of Appeals for the Sixth Circuit, and the U.S. Supreme Court. Mr. Gardella is a recipient of the American Jurisprudence Award for Advocacy, and earned a B.A. in Journalism from Michigan State University and a Juris Doctor degree from Thomas M. Cooley Law School in Lansing, Michigan. He is a former law clerk to Livingston County 44th Circuit Court Judge Daniel Burress of Howell, Michigan, and a former associate attorney for Burchfield, Park & Associates, P.C. He is a former president of the Livingston County Bar Association. In addition, he is a former Chairman of the Representative Assembly for the State Bar of Michigan. He served on the Representative Assembly from 1999 through 2008. He is a member of the American Bar Association, State Bar of Michigan and the Livingston County Bar Association. He served on the State Bar of Michigan, Board of Commissioners from 2005-2008 and 2014-2018. Call (810) 220-4200 or contact me by e-mail to arrange your free half-hour consultation. 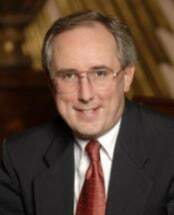 Brighton, Michigan, attorney Bob Gardella represents clients throughout southeastern Michigan, Livingston County and surrounding areas, in communities such as Ann Arbor, Canton, Westland, Livonia, Dearborn, Detroit, Farmington Hills, Southfield, Pontiac, Clinton, Warren, Sterling Heights, Flint, Lansing, South Lyon, Milford and Whitmore Lake.